… will soon (10 sleeps!) be taking us to, and around, north-western parts of Europe. The first plane will take us from Melbourne to Dubai, where we will spend 48 hours. We have a short list of, mostly, inexpensive sight-seeing, including a museum that we visited all too briefly during a guided tour in 2014. There will also be a return visit to the Gold Souk. If recent history is any guide, that item will not be be in the ‘inexpensive’ category! From Dubai, we fly to Amsterdam. Based in the heart of the main canal district, we will spend three full days exploring such sites as the Rijksmuseum and the Van Gogh museum, both recently restored; the canals themselves; Ann Frank House; and the Vondelpark. Towards the end of the final day, we will board our ‘longship’. Well, maybe not so long, but certainly slimline and owned by Norwegians, in the guise of Viking Cruises. Over seven days and nights, our cruise will take us via canals and then the Rhine River, from Amsterdam to Basel in Switzerland. The itinerary includes several land-based experiences; a guided tour of the Alsace wine region should be a personal highlight. After breakfast on the final morning of the cruise, we will make our way to Basel’s main railway station to catch a train to Paris. We will reach Paris in the mid-afternoon, and take a taxi from Gare de Lyon to our favourite hotel in the bustling Marais district. Over the next four days, we will enjoy a variety of new and repeat experiences, including dinner at two charming restaurants; a self-guided day-trip to Monet’s garden at Giverny; and, at last, a visit to Musee Picasso (it was undergoing protracted renovations on three previous occasions – 2009, 2011 and 2014). On our last morning, we will be up at sparrow’s fart to join a four-day guided tour of the First World War battlefields in the north-west of France. In the Somme and adjacent districts, some of the bloodiest and most pointless battles in human history took place, at the cost of hundreds of thousands of lives – Australian, New Zealander, British, Canadian, French and German, in the main – and we will visit several solemn cemeteries and memorials. For both of us, this will be a case of honouring those who died in the name of our country. For Maggie, it will also be personal – her maternal grandfather fought in WWI. 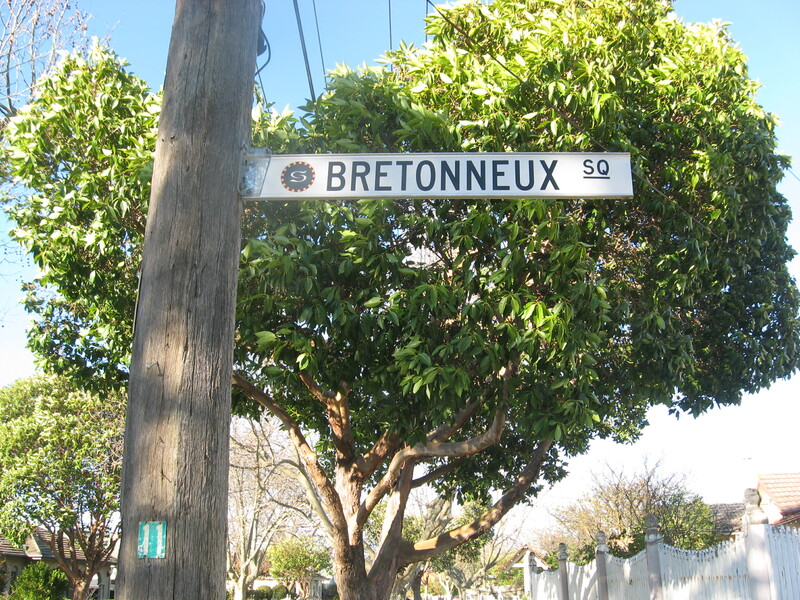 He was one of the lucky ones and he returned to Melbourne to build a family home in a square that takes its name from the town of Villers-Bretonneux, where a famous victory, in April 1918, forged an enduring friendship between French and Australian citizens. After our tour coach has returned to Paris, we will spend a night close to Gare Montparnasse, from where we will take an early-morning train to the town of Chartres, home of the fabled Gothic cathedral. From the cathedral, we will collect a rental car and head for the Loire Valley, staying in the town of Saumur – not too big, not too small, just the right size to offer an attractive variety of dining experiences. And, yes, between glasses of Sancerre and Vouvray, we will visit some of the region’s famous chateaux. Next, a leisurely drive to Mont St Michel, where, by either luck or good management, we have secured a room in a hotel, just 2km from, and with an uninterrupted view of, the famous abbey. We will enjoy the late-afternoon vistas and a first-thing-in-the-morning-ahead-of-the-pack visit to the abbey complex, before driving across Normandy to the seaside town of Honfleur. Here, our priorities will be the scenery so admired by Monet and colleagues, and a selection of Normandy’s famous foods – camembert, brie, lobster, oysters, calvados, apple cider. Oh, stop it! Last, but not least, we will drive to the city of Rouens, famed for its old town centre, including the cathedral, which featured in a series of paintings by Monet. Here, we will return our rental car and, on our last night in France, dine at a restaurant with two Michelin stars, a first for us. 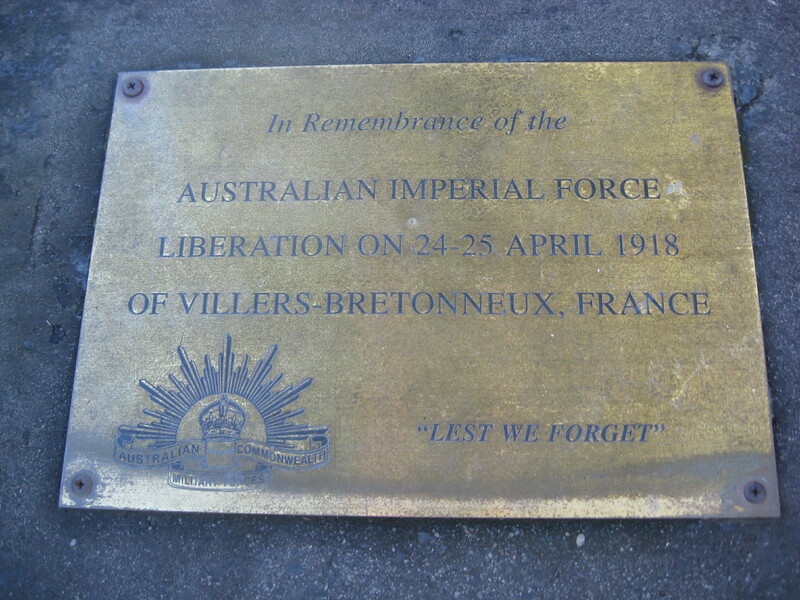 At 3pm the next day, we will catch a train to return us to Paris and thence, très triste, to Charles de Gaulle airport to say au revoir to France and board a plane bound for Melbourne. This entry was posted in Eating out, Travel and tagged Amsterdam, Dubai, Honfleur, Le Mont St Michel, Loire valley, Normandy, Paris, Rouens, Villers-Bretonneux. Bookmark the permalink.